Gro Pro Fabric Pots deliver better airflow to plant roots, provide structure without trapping water and increase plant growth. 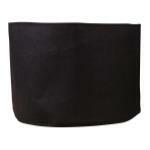 Gro Pro 65 Gallon pots are available in black and tan. 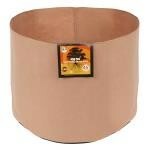 Round pots measure 32"W x 18"H. Round pots will hold approximately 8.4 cubic feet of soil. Under normal growing conditions, these are expected to last for 5 – 7 years.